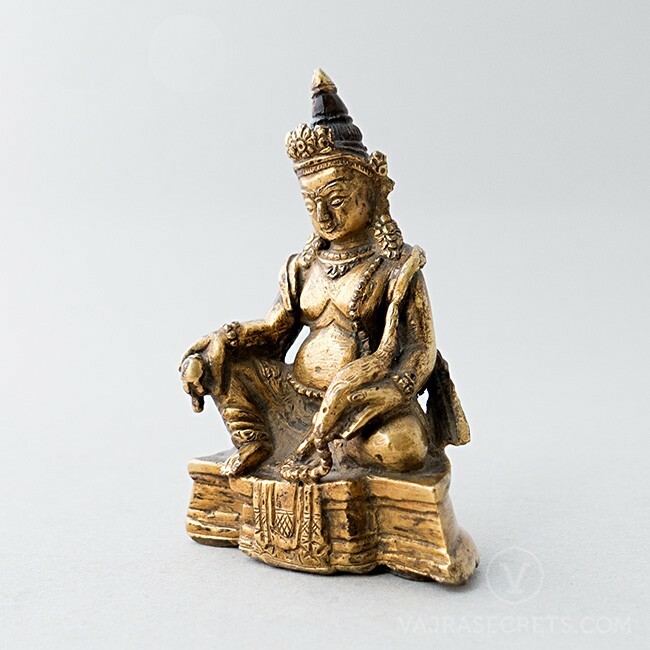 An exquisitely hand-carved gold-plated statue of Yellow Dzambala, who brings material wealth, spiritual wealth and helps overcome financial challenges. 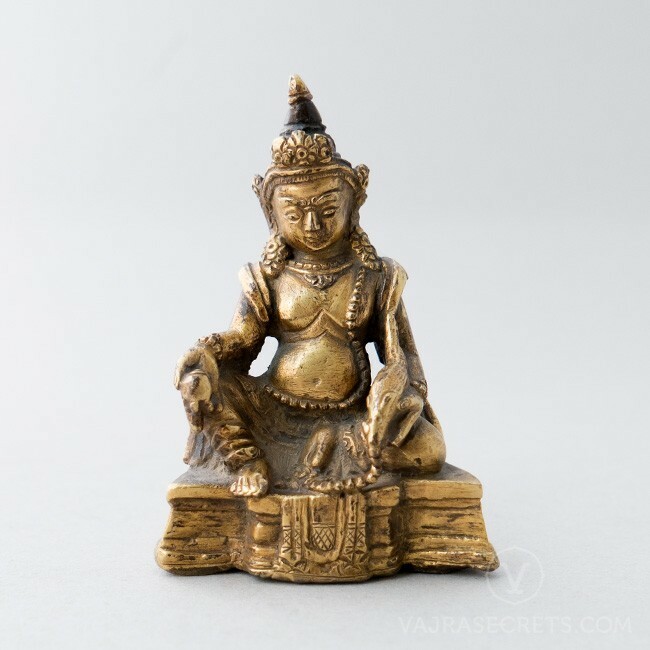 A perfect addition to a small shrine at home, in the workplace, or as part of a portable travel altar. A 3.5-inch gold-plated copper statue of the powerful Wealth Buddha, Yellow Dzambala, who brings material wealth, prosperity and helps overcome financial challenges. 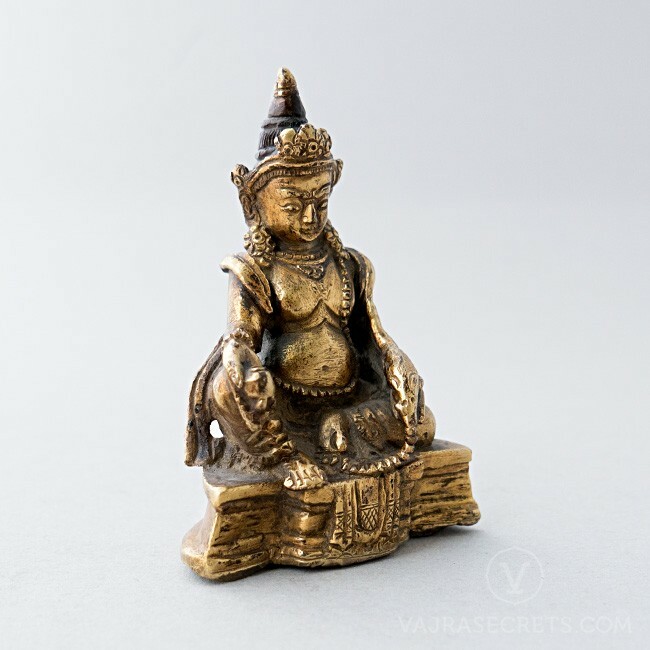 Exquisitely hand-carved by master craftsmen with full iconographic detail according to traditional scriptural sources, this is the perfect addition to a small shrine at home, in the workplace, or as part of a portable travel altar.